For the first time in recent quarters, the notes issued also dropped from Rs 19,966,43 crore to Rs 19,897,00 crore between November 9 and 16, the latest RBI data shows. The Reserve Bank of India (RBI) has not given any order to print Rs 2,000 denomination notes to the Currency Note Press in Nashik, an RTI reply to India Today has revealed. Speculations are rife the government may withdraw Rs 2,000 currency notes, though it has said there's no such proposal. The RBI data released on November 28 also shows the currency in circulation reduced by Rs 11,600 crore between November 9 and 23. Experts say the trend suggests the government and the RBI may be planning withdrawal of the high-value currency notes of Rs 2,000. But the government has not revealed its plan as yet. 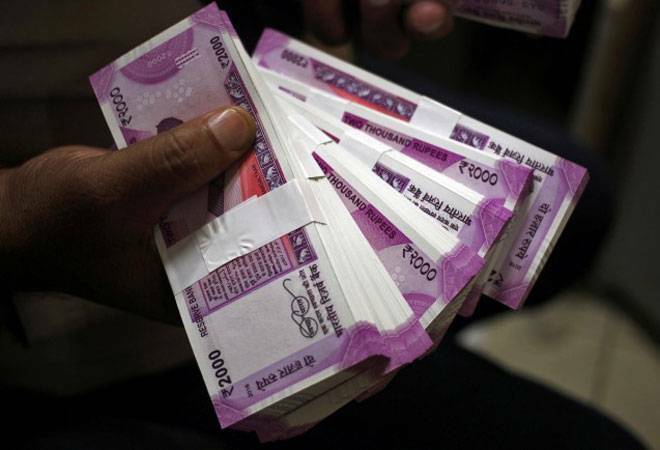 On August 10, the Centre said there's no proposal to withdraw Rs 2,000 denomination notes. "There is no such proposal," Pon Radhakrishnan, Minister of State for Finance, had said in the Lok Sabha. In response to the RTI filed with the RBI, which was forwarded to Currency Note Press in Nashik, the Press replied: "As per available records, RBI has not given any indent to currency Note Press, Nashik for Printing of Rs 2000 denomination new bank notes, hence not printed." Replying to the query on Rs 500 notes, the Press said: It "has dispatched 3565.500 million pieces of Rs 500 denomination new bank notes to the Reserve Bank of India up to 14/09/2018. It further said the printing cost of new Rs 500 note is Rs. 2.81 per piece." Experts attribute the slow printing of notes to the RBI's plan of gradually reducing the use of Rs 2,000 notes. "The only reason (behind fall in number of notes issued by the RBI) could be certain Rs 2,000 notes being withdrawn gradually, and non-commensurate lower currency notes being printed. Currency in circulation can't be coming down otherwise," Madan Sabnavis, Chief Economist, Care Ratings, told the New Indian Express. Many say a major reason the central bank may be squeezing the supply of Rs 2,000 notes is to prevent black money hoarders from hoarding the higher-value currency. Large value currency notes are easier to hoard, and can be used for the proliferation of black money. The government had introduced new Rs 500 and Rs 2000 notes after demonetisation in November 2016, which soaked up 85 per cent of the old currency notes from the economy. The circulation of Rs 500 note, however, increased to 43 per cent from 23 per cent a year before. In volume term, the currency increased to 15.1 per cent from 5.9 per cent a year before. Reports also suggest the central bank may soon come up with varnished notes to increase their lifespan, which would not only reduce replacement requirement but would also save the RBI from the security printing expenditure. The Currency Note Press (CNP) in Nashik and the Bank Note Press (BNP) in Dewas operate under Security Printing & Minting Corporation of India Ltd, a government-owned company.